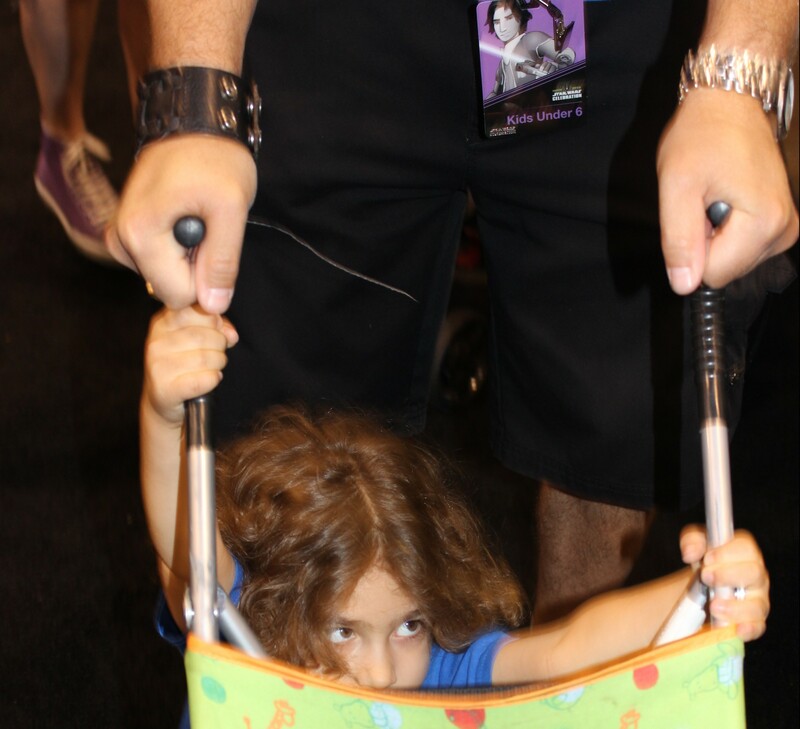 “Take your kids to the Star Wars convention”, they said! “They’ll have FUN”, they said! We didn’t tell them where we were going. Join the entire Forbidden Panel crew and they once again wander the halls of the Anaheim Convention Center. 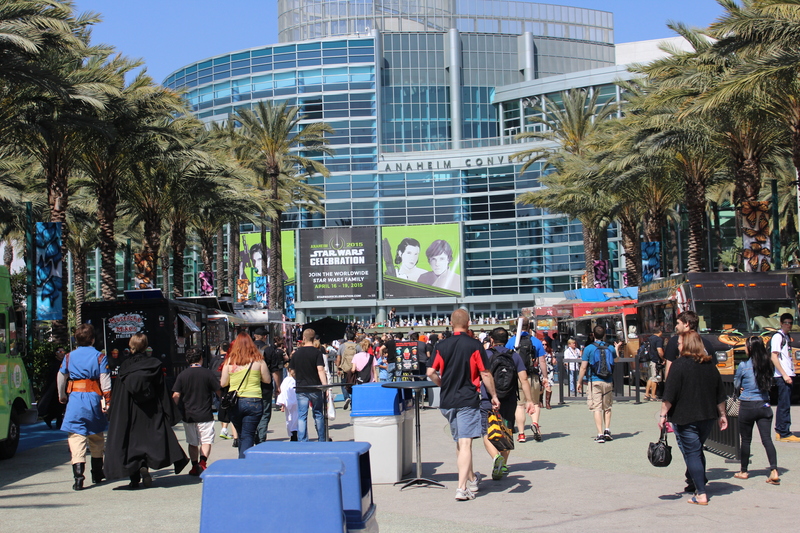 This time, however, they are there for Star Wars Celebration!!! 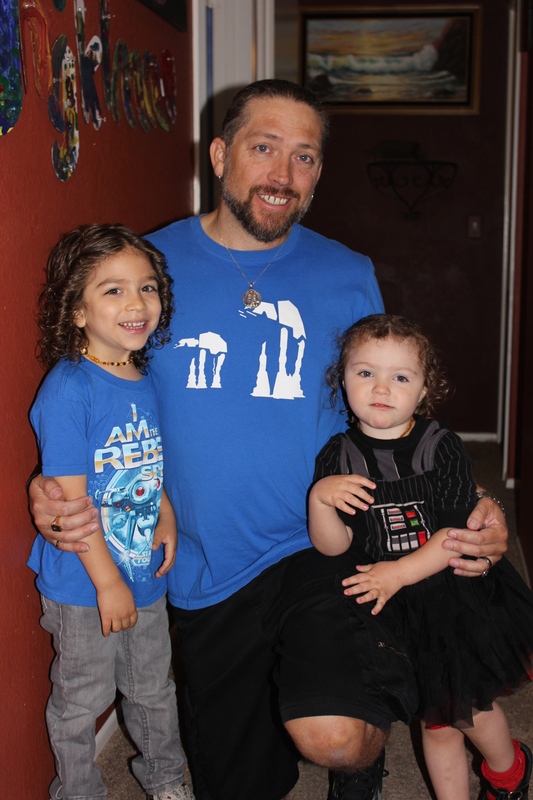 To be honest for Adam and myself (Andrea), Star Wars week started for us Tuesday night at the Dodgers Baseball game. The stadium was invaded with Jedi, Storm Troopers and Darth Vader. They even gave out free T-shirts to commemorate the night. 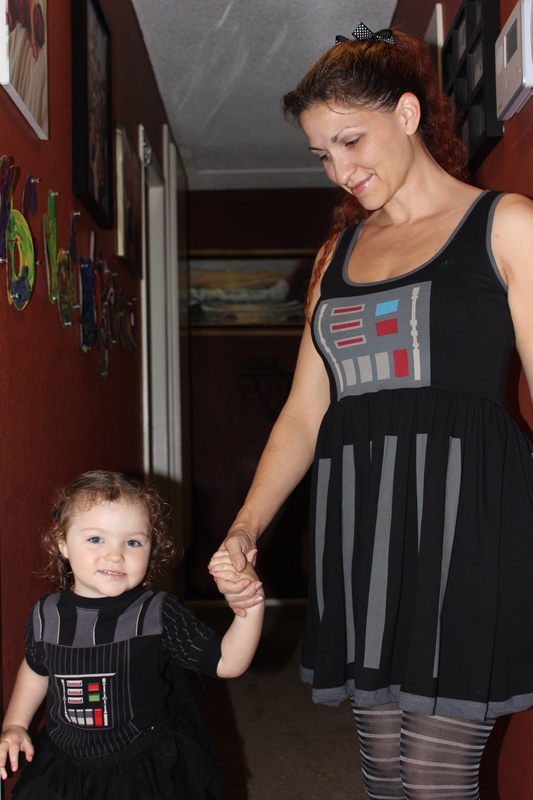 So, now, onward to the first day of Star Wars Celebration and our further adventures into geekdom! This place was in chaos this morning! There were lines for panels, lines for registration and more lines to get to the exhibit hall. People, aliens, Storm Troopers and “Slave Leias” were every where. As you can see, it would have been hard for anyone to miss “the droids they were looking for”. Once we got inside to the exhibit hall, it was sensory overload. There were booths for taking pictures in your favorite Star Wars Scene to buying your favorite toys, so much to see and so much to do it was hard to decide where to truly begin. I will be posting updates and photos here throughout the four day experience as we wander, explore, see all we can see and do all we can do. It will be an exhausting amazing adventure and we will bring it all to you from our point of view! Star Wars Needs YOU! …To Create An Amazing New Toy! CALLING ALL STAR WARS FANS!!! There is an awesome opportunity to be part of the creation of a new toy experience that I am SURE every geek I know will want to get in on! Do you want to be part of an amazing new Uncle Milton Star Wars toy? Do you want your vast knowledge of the Star Wars universe to be immortalized forever in a toy that will be played with for generations of younglings, and their masters, to come? Go to the 20Q website and play the Star Wars 20 questions game. It’s that easy! 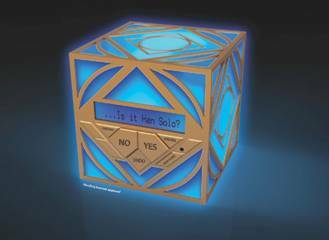 Share your knowledge to help create the Star Wars Holocron toy’s artificial intelligence! -That’s right, a piece of YOUR BRAIN could help create an AI toy. You will live forever in the form of your mighty brain full of geek wisdom! Below is the official statement with a sneak-peek of the toy’s design. Check it out and GO PLAY! “STAR WARS FANS BEING ASKED TO TEST JEDI KNOWLEDGE AGAINST THE FORMIDABLE 20Q ARTIFICIAL INTELLIGENCE! GO TO http://starwars.20q.net/play AND PLAY!!! I will also be stopping by their booth during Star Wars Celebration 2015 to talk to them about this exciting new product. I will post updates, interviews and photos, too! If you have questions about this toy or any of their products, please post them here so I can ask them, but if you are going, don’t forget to stop by and check them out in person! !